Six units with R/C air-conditioning, kettle, toaster, fridge and microwave. – two single, one twin with king singles, three queen and one queen + single size configurations. All rooms with ensuite. Laundry facilities for guests. Run by the Shire of Quairading. 18 powered sites, 4 camping sites and 2 drive through sites. Womens, mens, family and disabled ablutions. Shady lawned area and campers kitchen. Laundry facilities available for all guests. Cottage with disabled access has 2 bedrooms and sleeps up to 8 people. 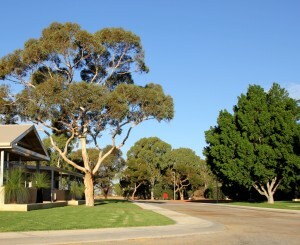 Railway Barracks sleeps 12, BYO Linen, share kitchen & shared ablution amenities.